hi for all, I'm starting a project in AEROSTUDIO, but I'm encountering some problems that have not yet been solved. 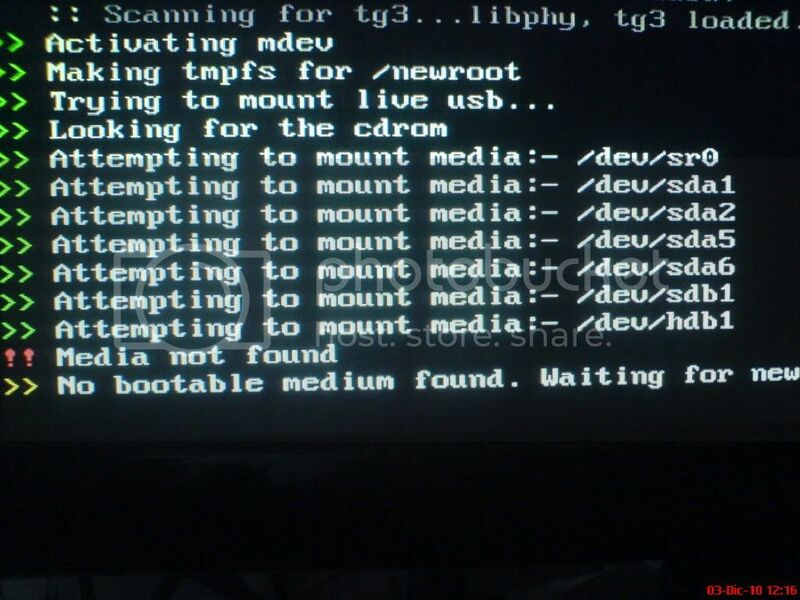 For example, most of the images I make them start with the command grub4dos, but in a while I get an error that says can not find the device and does not continue loading the image. The avira live cd starts up everything but the final ever, the scanner does not load. 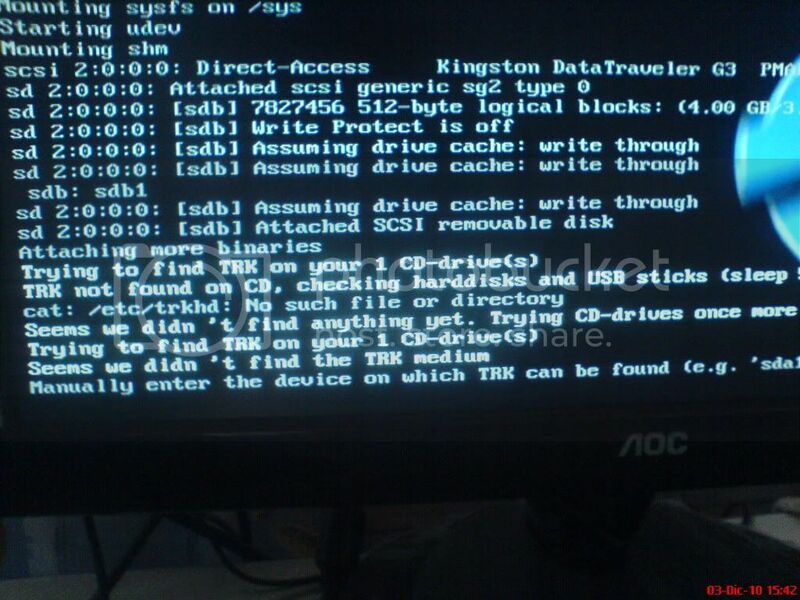 This kind of error comes with Parted Magic, Kaspersky, Trinity Rescue Kit, Ubuntu hangs, Winternals too. 1. most Linux based .iso working only from fat32. Sara, this is Very good, clean, straight forward into subject, elegant style, correct info, you could easily be a tutorial writer with such style, and not as many advanced and super advanced members here use to link you to nonsense links that leads you to more confusion.. Very good again, and thank you. This is all I need, thank you very much..
actually Advanced users give those nonsense link so that tutorials writer like you can read them and write some tutorials. instead of acting so cocky you can show some gratitude to them. created a new account just to say that? sure that you are know in the forum, one that is hidden in the anonymity to say what he wants because he has't the guts to say it with the original profile. If you have a problem with somebody, please use the PM and leave this post. with jamal's method, the KASPERSKY utility increases size almost twice, because you have to copy the SQUASHFILES among other things, but apparently no way for another solution. same thing can be said about you. and no one can guarantee that whether you are fake or real.neither for me. but that doesn't matter . the thing which matter is what is being "said". i just pointed out the truth.Now if you find that truth bitter , its doesn't change that truth. you wasn't discuss that i am ready. i have been reading this forum for a long time( about one year) . and i have found that users here are very knowledgeable and very humble at the same time. No matter how knowledgeable they are , whenever they have been pointed about mistakes in their replies .... they politely agreed and accept their mistakes making necessary corrections to their replies. By accepting their mistakes and making necessary changes they make sure that someone reading their post doesn't get the wrong concepts. But soon a wannabe tutorial writer Jamal enter the scene. he just start churning out tutorials on topics that were so simple , that they never needed a tutorial in the first place. the tutorials were written so unnecessary lengthy that someone reading them can die from exhaustion. the regular and advanced users( including users who have just basic knowledge about booting stuff) were surprised at the fact that a tutorial on such easy topics can be so ridiculously lengthy. can these ridiculous tutorials have any usefulness?? 2) these tutorials can be useful for super noobs. if you ask me is jamal doing something wrong here .....my answer will be..NO!!. if it is helping noobs ...so it be. it is good...nothing wrong with that. But story doesn't end here . Our so called Super tutorial writer soon starts writing about topics on which he had no thorough knowledge. hence some tutorials start showing some serious mistakes.users here on boot-land pointed out those mistakes. but our super tutorial writer here don't like being corrected. so mistakes were never accepted, instead suddenly a whole army of users with new account start appearing on those thread harassing members of boot-land. Now you can think whether those accounts were real or just fake accounts. And to moderator : I want to know whats the limit of tolerance here on boot-land for those stupid long debates between "super-noobs with big mouths(some of jamal's fans)" AND "sincere users on boot-land" who have actually contributed something to this forum over a long period. I only questioned why you create a new profile to express yourself, if you have a problem with someone why not use your original profile to say all you want? Know that the moderators can view your IP rather than use a different account? well as you are repeatedly asking why am i not using original. The point is their is no original . this is my original profile. if you wan't to imagine such things you can imagine. thats not my style. i am not afraid if moderators can see my ip . cause i don't have any other account on this website. The reason i am being so harsh is cause there have been so much stupidity going on this forum for some time that i have to create a account to reply , so that this stupidity can be stopped. may be moderators here can listen to me. Edited by jamesboxy, 03 December 2010 - 02:48 PM. well as you are repeatedly asking why am i not using original. Th point is their is no original . thats my original profile. if you wan't to imagine such things you can imagine. thats not my style. FYI any one can use web proxy to hide his proxy ......... may be you can learn some tricks from me , if you behave nicely, but you can't control your big mouth. Really you can hide your really IP with anonymous proxy servers???? OMG then you are a hacker!!!! please do a tutorial about it!!! listen , i am not here for arguing. it is very unfortunate that my first post has to be so harsh . i don't want to waste time on arguing. it would be better if i can help you. As i have said i have been reading this forum for a long time , i have learn't a lot. and i can help you here. may be i can win your heart by solving your little project you have mentioned in you first post. you can ask me anything i will help you as much as you wan't. by the way whats the version of kaspersky you are using? Edited by jamesboxy, 03 December 2010 - 03:15 PM. That is better, I think this place is to learn and teach. not to be speaking ill of another person because we don't like it tuto's. well, finish for me, can go for my "little" project again? I'm using the kaspersky recue cd 10. 1) create a folder "rescue"
2) copy the iso file of kaspersky inside the "rescue" folder created in previous step and rename it to "rescue.iso". 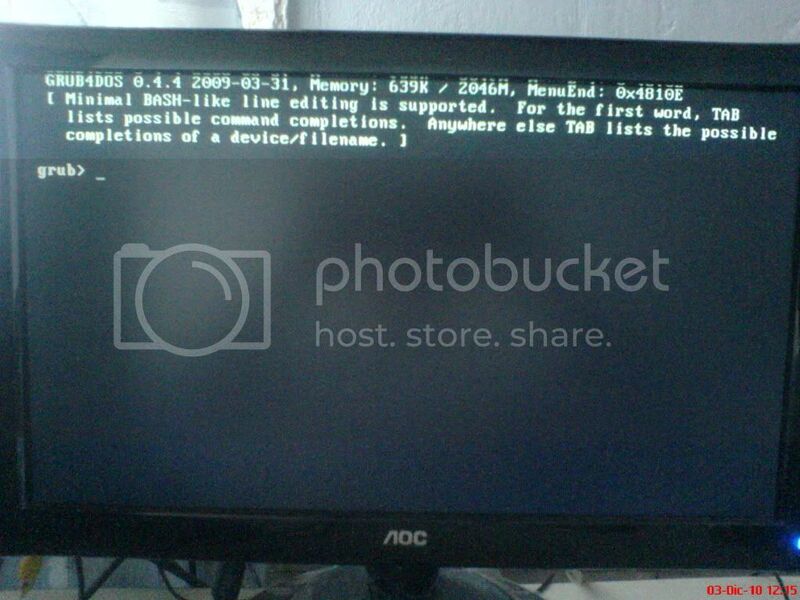 3) create a blank file "liveusb". remark: *file "liveusb" act as a signature file. kaspersky search for the file "liveusb" for identifying the device which contains the virus definition. when you get the error "no medium found" , it is because the device which contains the virus definition is not found. 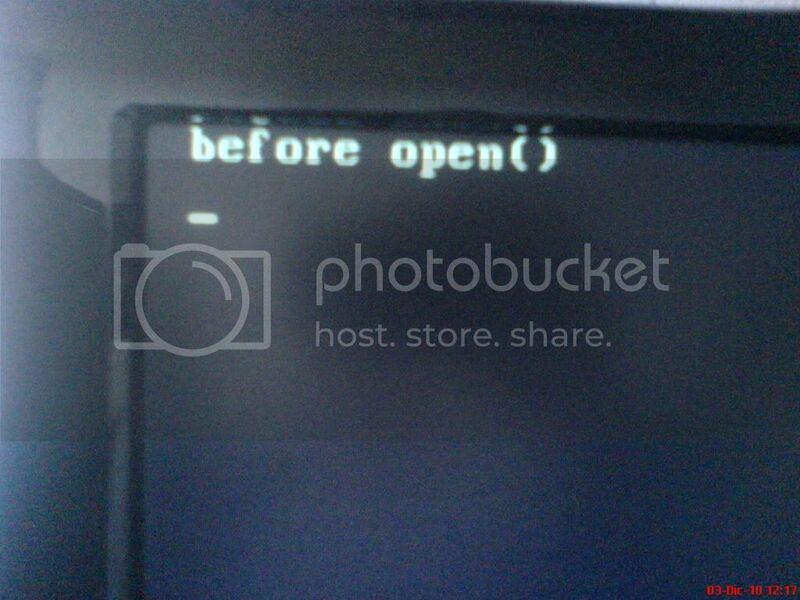 *you can use this method for both creating iso file and usb. *if you are creating usb don't forget to defragment the iso file "rescue.iso" else booting speed will be slow. Edited by jamesboxy, 03 December 2010 - 04:22 PM. and for the Trinity rescue kit? Edited by juandecerro, 03 December 2010 - 04:49 PM. 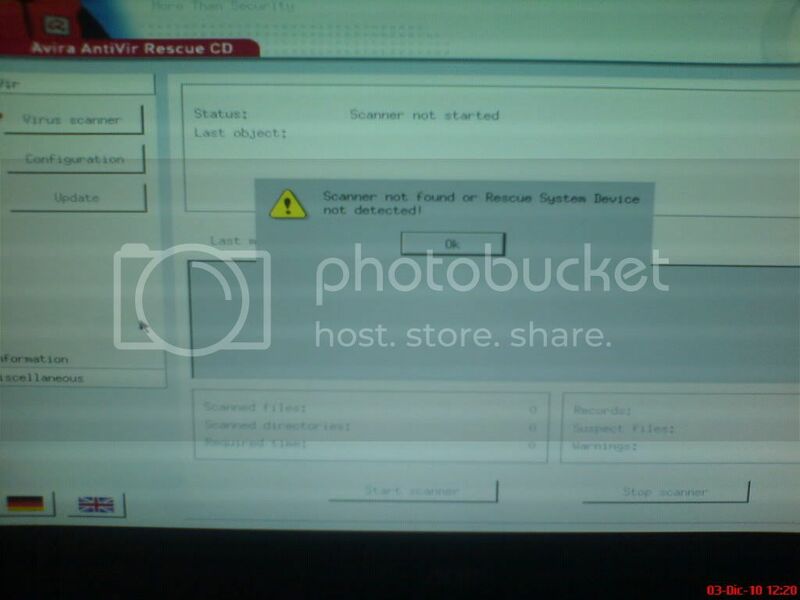 1) extract the folder "antivir" from "rescue_system-common-en.iso" on your device. 2) copy "rescue_system-common-en.iso" to your device. finally you end up with directory structure like this on your device. i don't have much time i will tell you in detail later on. till try these method and tell me . i will reply you soon. tell you about trinity later. Edited by jamesboxy, 03 December 2010 - 05:05 PM. ok... now kaspersky boot fine , only the file "liveusb" was the problem, don't need the "SQUASHFILE" that have around 120MB like in a tuto i saw..
tested.. avira works fine too!! Edited by juandecerro, 03 December 2010 - 05:29 PM. notice the use of "vollabel=juandecerro" as a kernel parameter. trinity searches for a device whose volume label is "juandecerro". for example if volume label of your device is "abcd" then instead of "vollabel=juandecerro" you have to use "vollabel=abcd" . 1) extract the folder "trk3" from "trinity-rescue-kit.3.4-build-367.iso" on your device. 2) also extract files "kernel.trk" and "initrd.trk" from "trinity-rescue-kit.3.4-build-367.iso" and copy both files to the folder "trk3" on your device. try this..and post your results here. Edited by jamesboxy, 03 December 2010 - 06:17 PM. Edited by juandecerro, 03 December 2010 - 06:51 PM. whats the format of your pendrive? Edited by juandecerro, 03 December 2010 - 07:16 PM.